The juxtaposition of the 2 books I just finished could not be more startling. 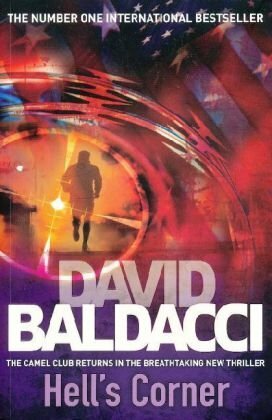 Camilla Läckberg is one of the new generation of Swedish detective writers and The Ice Princess was her first book, whilst David Baldacci is a thriller writer in his prime. Result – the Ice melted in the blaze of glory that is Hell’s Corner. Trilogy as an introduction to Scandinavian thriller writers I wanted to give another one a go. Sadly not in the same category. I don't normally read or listen to abridged versions which this one was. It was OK. Reasonable plot, reasonable characters , not a particularly strong central one for a detective for whom there is a now a series of books. For now I shall put this down to the editing and abridgement for radio and may give another one a go as and when. I have such a terrible readers block. This was an aspiring post though. I WILL pick up a book in the morning!